Scope: Redesigns North 7th Street, South/North 10th Street, and sections of East Main Street to include Richmond's first dedicated bike/pedestrian paths. Goal: Connect the City Center to the Gorge Park, Downtown Richmond, and the Historic Depot District. East Main between North 5th and North 7th Streets: See map below. 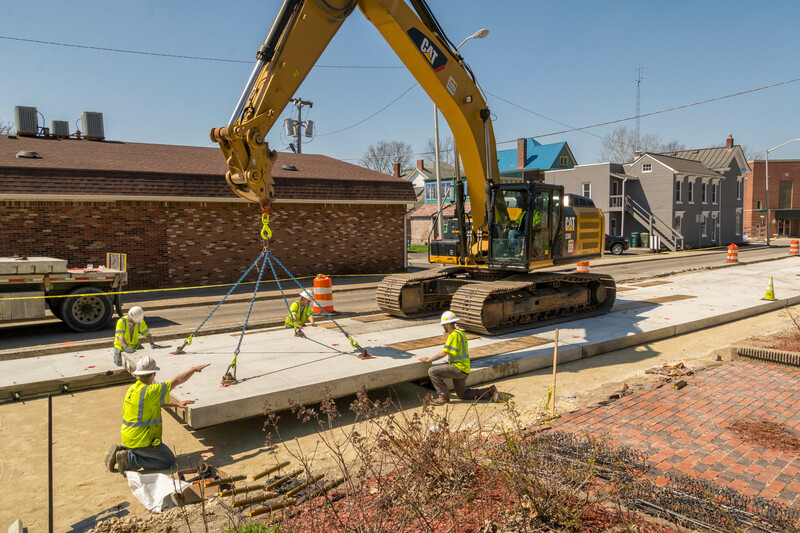 The Stellar Streets Loop Phase I Project is an INDOT LPA Pedestrian and Bicycle Safety Enhancement project. As an INDOT LPA project, it is managed under the direction of United and Mike Prather of INDOT. Biweekly coordination meetings between the general and subcontractors with participation from city officials have been on-going thorough-out the project. The City is committed to working with INDOT to add evening public update meetings to the calendar, in order to provide an opportunity to directly ask questions. This offer is in addition to the updates to Council, website updates, social media posts, monthly updates to the Downtown Business Group and the Depot District group. 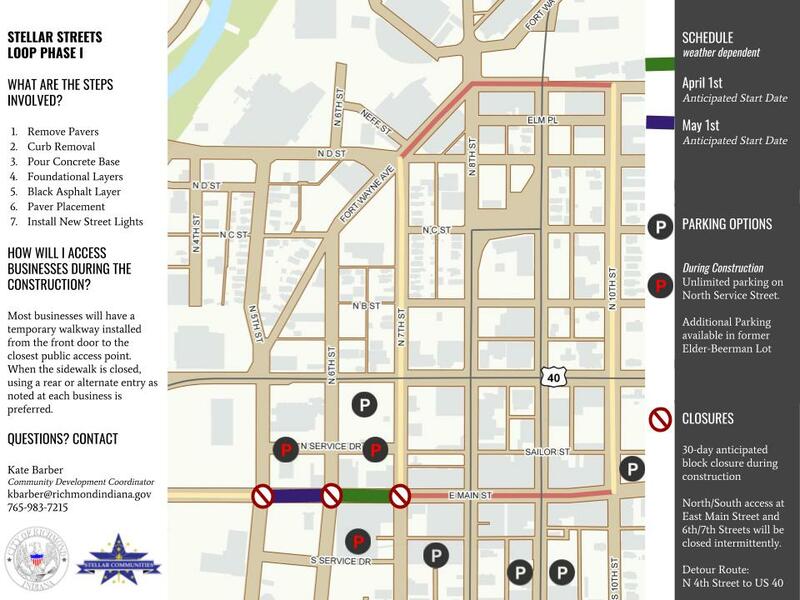 Scope: Within the TIF District, replacement of sidewalks and some lighting updates. Goal: Business attraction and retention, renewed pride in Center City, and increased tax base. The City of Richmond was designated a Stellar Community in 2013. This designation allowed the City the opportunity to seek grant funds to complete projects within the Stellar Boundaries. The City submitted a Community Development Block Grant (CDBG) in late September of 2017 for the Stellar Façade projects downtown. On October 17, 2017, the City of Richmond signed an agreement with the Office of Community and Rural Affairs (OCRA) officially kicking off the Stellar Façade project. This grant, in the amount of $750,000, is funding 80% of the project. The remaining 20% is being funding by a grant from the Urban Enterprise Association (10%) and the property owners (10%) participating in the program. After bids were received in May 2018 and alternates selected by individual property owners, the project cost totaled $971, 007. This is under the CDBG grant application budget of $1,237,500. As with any historical rehabilitation project, unforeseen issues can arise when construction begins and this number is subject to change. A final project cost will not be available until all projects are completed later this year. Future: Road closure on US 40 during panel installation. Scope: Milling and paving work on deteriorated roads. 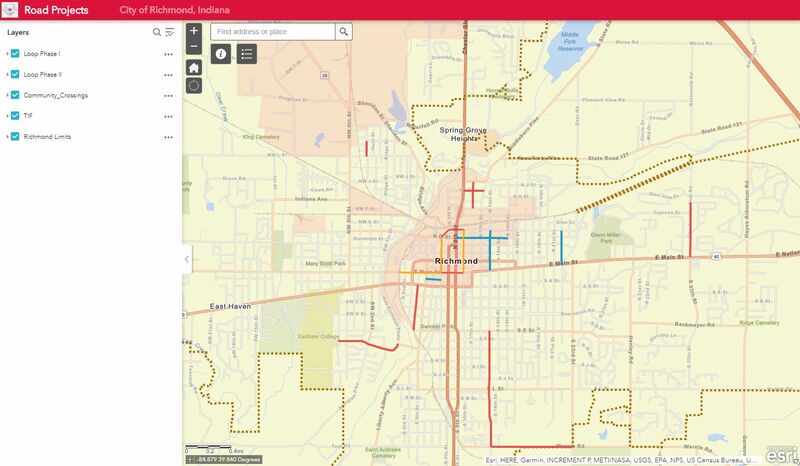 Scope: Redesigns Fort Wayne Avenue, sections of North E Street, and sections of East Main Street to connect Richmond's first dedicated bike/pedestrian paths. The first internal coordination meeting is scheduled for May 2nd. This meeting will include project leads from Clark Dietz, City staff, and City Council Transportation Committee Members. Jim from Clark Dietz will be discussing the preliminary work that is taking place and the sequence of events that will occur leading to the letting. The first public engagement meeting date and scope will be discussed at this meeting.